WHEATLAND, Mo. — Bobby Pierce came from the 14th starting spot on Sunday night to win the silver anniversary 25th annual Lucas Oil Show-Me 100 presented by Protect the Harvest.com at Lucas Oil Speedway. Pierce took the lead from Earl Pearson Jr. on lap 87 and pulled away for his third crown-jewel victory in less than a year. 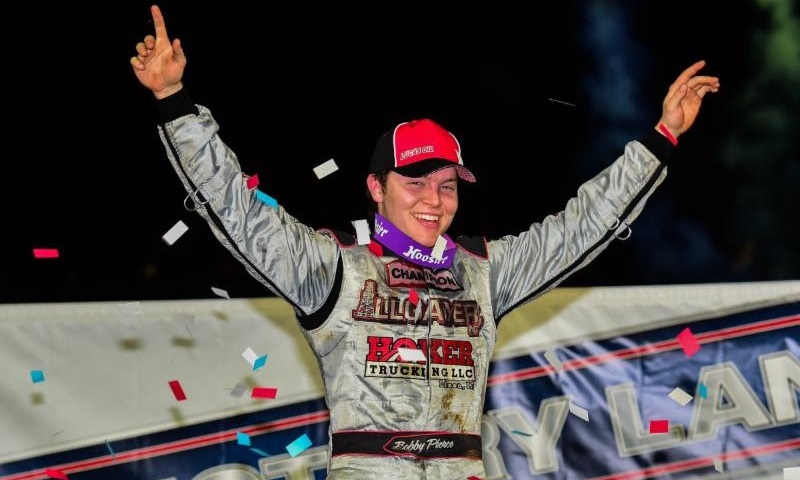 The 20-year-old became the 12th different driver to win the Show-Me 100, a race his father Bob finished in the top-five in on four different occasions. Pearson led 86 of the 100 laps, but ultimately finished second in the Carlton and Kemp Lamm-owned Longhorn Chassis Ford Tim McCreadie took third in the Sweeteners Plus Pro Power Longhorn. Scott Bloomquist, the only five-time winner of the annual Memorial Day Weekend event, finished in fourth ahead of 2015 winner Jonathan Davenport, who came from 30th to complete the top five. Pearson was seeking his first Show-Me 100 victory. McCreadie recorded yet another top five, finishing third after starting from the pole. Feature (100 laps): 1. Bobby Pierce, 2. Earl Pearson Jr., 3. Tim McCreadie, 4. Scott Bloomquist, 5. Jonathan Davenport, 6. Gregg Satterlee, 7. Dennis Erb Jr., 8. Jared Landers, 9. Josh Richards, 10. Shannon Babb, 11. Tony Jackson Jr., 12. Logan Martin, 13. Boom Briggs, 14. Jack Sullivan, 15. Don O’Neal, 16. Chase Junghans, 17. Steve Francis, 18. Hudson O’Neal, 19. Jimmy Owens, 20. Billy Moyer, 21. Dave Eckrich, 22. Rodney Sanders, 23. Billy Moyer Jr., 24. Mason Zeigler, 25. Mike Marlar, 26. Jake O’Neil, 27. Chris Simpson, 28. Darrell Lanigan, 29. Jesse Stovall, 30. Payton Looney.